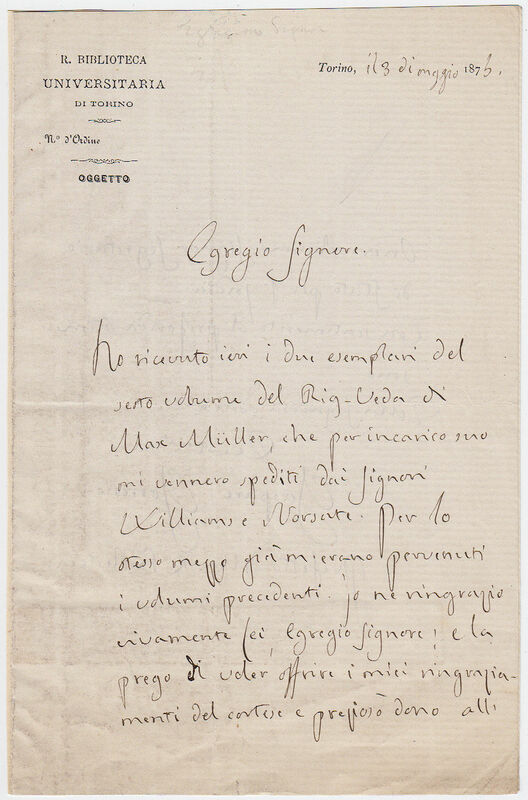 Autograph Letter Signed, referring to Max Muller’s latest work on the Rig-Veda. In Italian. 2 pp. 8 x 5 inches, in good condition. Torino, 3 May 1876. Gaspare Gorresio (1808 – 1891), Italian Orientalist and Indologist, best known for his translation of the Valmiki Ramayana, the great Hindu epic.